A horde of young people disrupted traffic on a major Philadelphia highway this weekend. The incident was captured on camera and posted Sunday on social media by multiple witnesses. 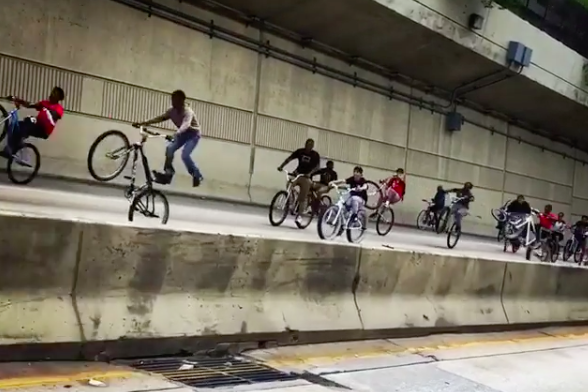 Videos show hundreds of people on bicycles riding on Interstate 676/Vine Street Expressway in Center City. Spread across all the lanes of the eastbound side, the riders pop wheelies and swerve, preventing motor vehicles from using the roadway. The Philadelphia Police Department is aware of the situation and noted there were no injuries reported, according to NBC10.